إذا كنت تبحث عن فندق بموقع جيد في تابو، فقد وجدت ضالتك في Accent on Taupo Motor Lodge . يمكن من هنا للضيوف الاستمتاع بسهولة الوصول إلى كل ما تقدمه هذه المدينة النابضة بالحياة. يضفي محيط الفندق اللطيف وقربه من ‪Wairakei Geothermal Power Station‬, مطار تاوبو, توبو رود اند تاكل سحراً خاصاً على هذا الفندق. إن الخدمات التي يقدمها Accent on Taupo Motor Lodge تضمن للنزلاء إقامة مريحة. إن واي فاي مجاني في جميع الغرف, خدمة غسيل ذاتية, واي فاي في المناطق العامة, صف السيارات, مرافق للشواء هي جزء فقط من الخدمات التي تميز Accent on Taupo Motor Lodge عن باقي الفنادق في المدينة. 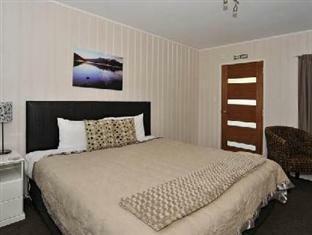 في Accent on Taupo Motor Lodge غرف نوم يزيد عددها عن 8 صممت بذوق وعناية لتوفر لك كل وسائل الراحة . بعضها يحتوي أضاً على تلفزيون بشاشة مسطحة, اتصال لاسلكي بالإنترنت, اتصال لاسلكي بشبكة الإنترنت (مجاني), غرف لغير المدخنين, مكيف هواء. يقدم الفندق مجموعة رائعة من الخدمات كمثل حديقة، لجعل إقامتك تجربة لا تنسى. 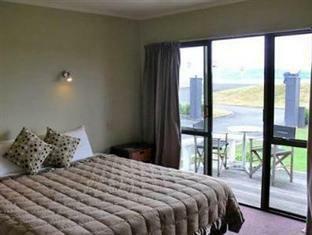 يشكل Accent on Taupo Motor Lodge بخدماته الراقية وموقعه الممتاز، قاعدة مثالية للاستمتاع بإقامتك في تابو. We spent 2 wonderful nights at the Accent. Owners (Julian and Jill) were really friendly and gave us plenty of good suggestions to where to go or eat. The room was well maintained, clean and well equipped with amenities. There is a private spa pool for us as well! We really enjoyed Accent and would return readily. 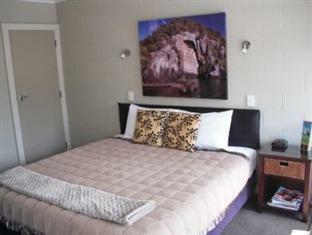 I would highly recommend this motel to anyone staying in Taupo!!! Highly recommended. Clean and good location. Felt very welcomed. So a very nice stay indeed. Very much satisfied with the room - spacious and well equipped with utensils and pots in the kitchen. Really glad to have 2 bathrooms in a 2-bedroom unit! 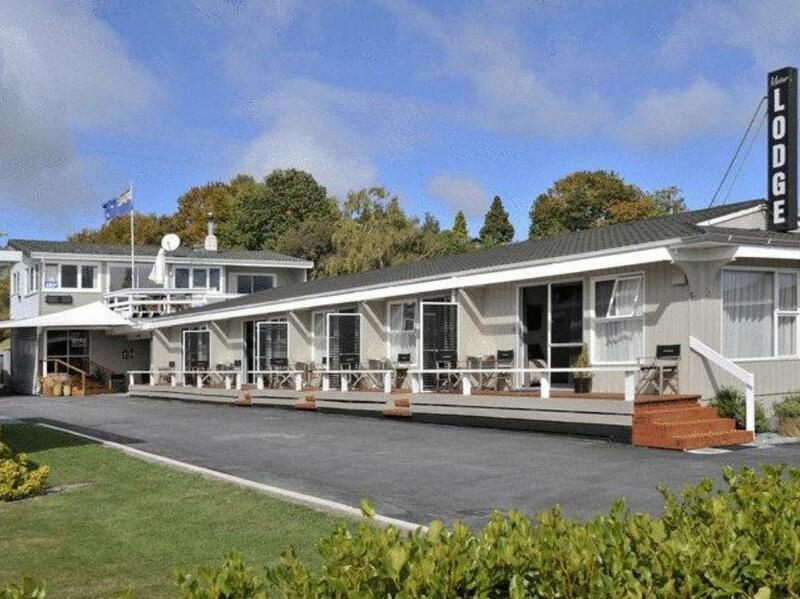 Worth every penny and will be staying here again if we ever come back to Christchurch. Cottage is very beautiful and convenience for our group. cleanliness is the best. My family was happy with this. Very impressed with studio. Close to Lake. Room was large and good standard. The room is quite big. It is 1 king bed and 2 single bed in the room. Is a good location and nearby lake. Good location, comfortable one bed apartment, full kitchen facilities. Excellent. Was upgraded to a one bed apartment which was good. Very close to the lake which was good. Close to supermarket and dining places. Enjoyed our stay there. Thank you. Great location just across the road to get the lake to walk or ride a bycicle . Convenient and clean place.. Internet wifi was provided . 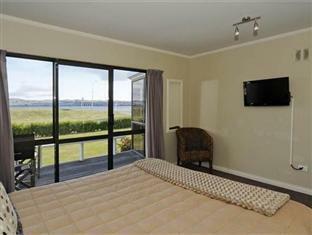 It was our second time to stay at Accent Taupo We were happy to spended time over this hotel . Freindly , helpful staff , clean room and good lcation to access the lake . Location, bicycles available for guests free of charge,helpful, friendly staff. It was a very cold weather when we arrived but the loge had heaters so we were comfortable and cosy. The staff was friendly and helpful. We stayed two nights and when leaving the proprietor drove us back to our bus stop free of charge. (some 40 minutes walking distance) Which is very rare nowadays. We enjoyed cycling along the lake, having dinner in some of Taupo's elegant restaurants and cruising the steam boat to see Maori carvings. near to the lake. clean and fully furnish. private parking and friendly staff. Simply awesome stay. We book the cottage and it just so nice. But if we managed to book the lakehouse it'll be so much perfect. Highly recommended. If we knew this lodge earlier in its excellence we would adjust our entire Trip schedule and stay there for longer. It's a place worth to be staying for over a week ! The view is so good in the morning the sunlight across from the back and u can see the lake view is crystal blue! There was a vancamp located behind the lodge and people are funny. It is a nice location which just beside the lake , walking along lakeside can watch or anticipate loads of activities such as plane !motoship ! Also you can drive to near by hill or lookouts to appreciate the wonderful sunset ! For we first travel in nz,it's is so impressed one and definitely we will visit it for 2nd and staying for longer ! Got a one bedroom unit under a superhot deal of around $100 a night. Room is spacious and clean. Hot plate and microwave is available for cooking. Had the fortune of getting a unit facing the lake, so that was a bonus. 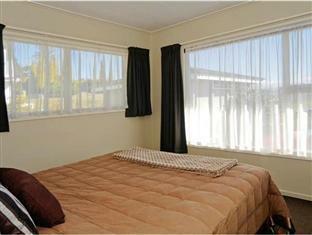 Walking distance to walking paths around Lake Taupo. Parking space and internet included. Even bicycle rental is an option. Very short drive to the main town. Will definitely revisit this place if I ever pass by Taupo in the future.